I am starting off my Sunday morning with dessert. You heard right! 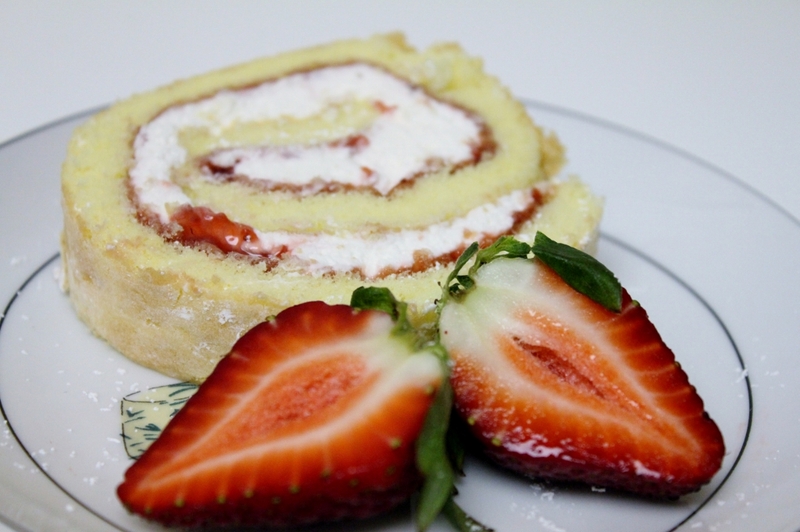 I have been thinking about making a jelly roll for a while and adapted this recipe from Martha Stewart’s Cooking School. 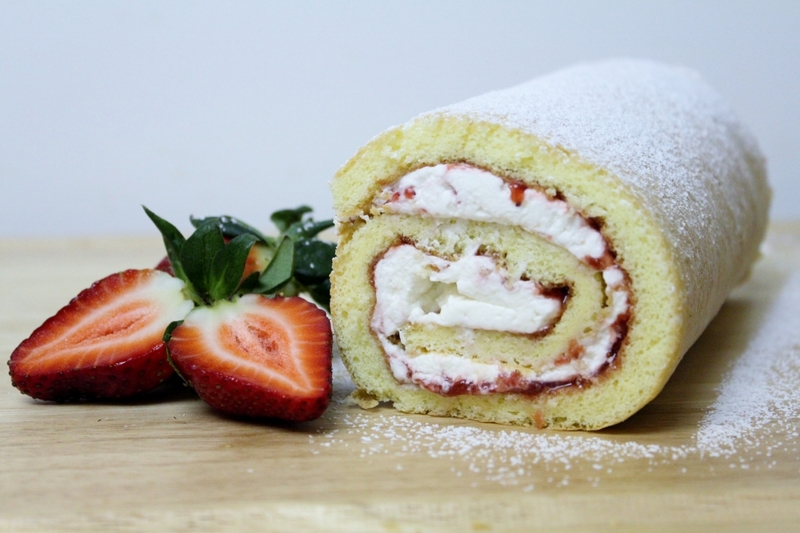 The building block for a jelly roll is genoise, a French sponge cake. 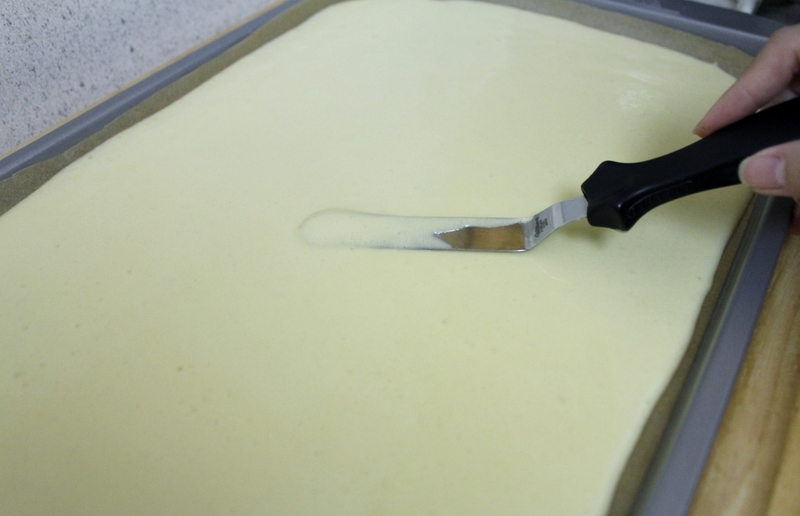 Genoise relies solely on eggs beaten with sugar until thick and doubled in volume instead of chemical leaveners. To finish my roll, I spreaded a thin layer of strawberry jam and thick layer of mascarpone whipped cream over the sponge cake before rolling it. I let the jelly roll sit in the fridge for at least 30 minutes so all the flavors have the chance to meld together. This dessert was absolutely amazing, or shall I say breakfast! The cake was light and fluffy while the sweetness of the jam balances with the richness of the mascarpone cream. Sometimes, you gotta start the day with dessert! Preheat the oven to 375F. Bring about 2 inches of water to a simmer in a small sauce pan. Place the mixing bowl over the simmering water making sure the bottom is not touching the water. 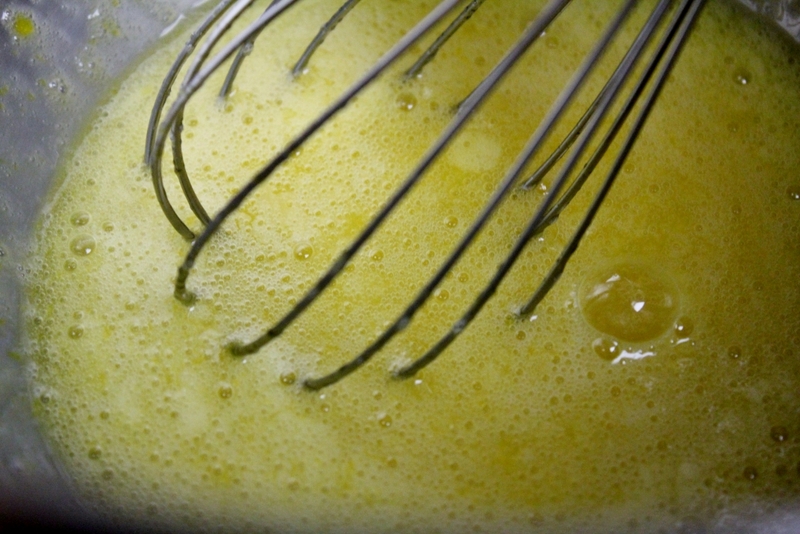 Whisk the eggs, yolks, and sugar until the sugar has melted, about 5 minutes. 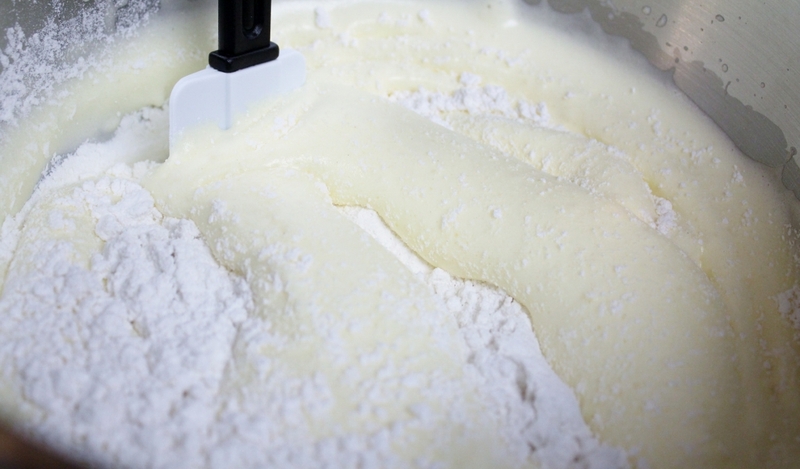 Attach the bowl to mixer and beat on high speed until the mixture is pale and doubled in volume, about 5-7 minutes. Sift flour and salt over egg mixture. Use a spatula, fold in the flour. Pour the melted butter down the side of the bowl and gently fold, making sure not to deflate the batter. Pour the batter onto a baking sheet and smooth out. Transfer baking sheet to the oven and bake until golden brown and springy to touch, about 7 minutes. 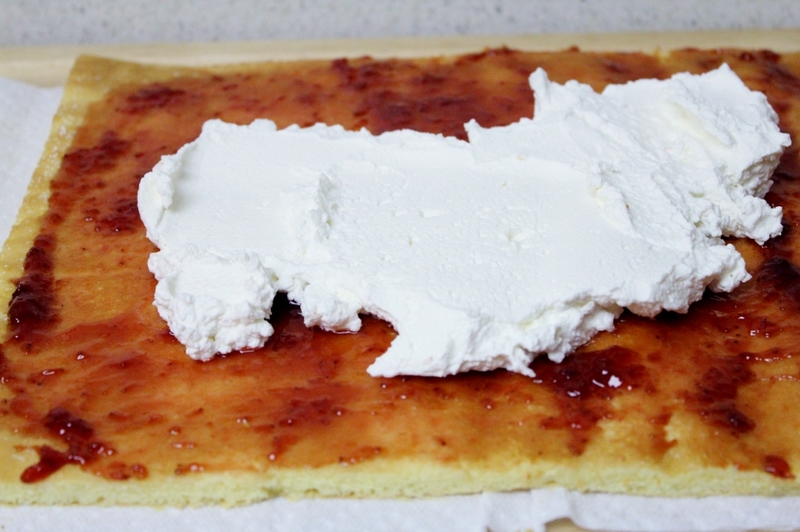 Loosen the edges and turn the cake out onto a paper towel. 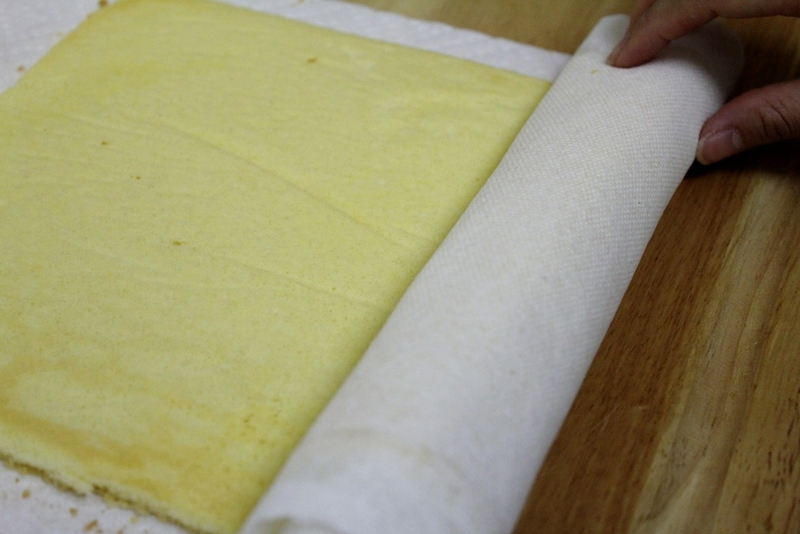 Fold the towel over the edge of the cake and roll up. Let it cool at room temp. 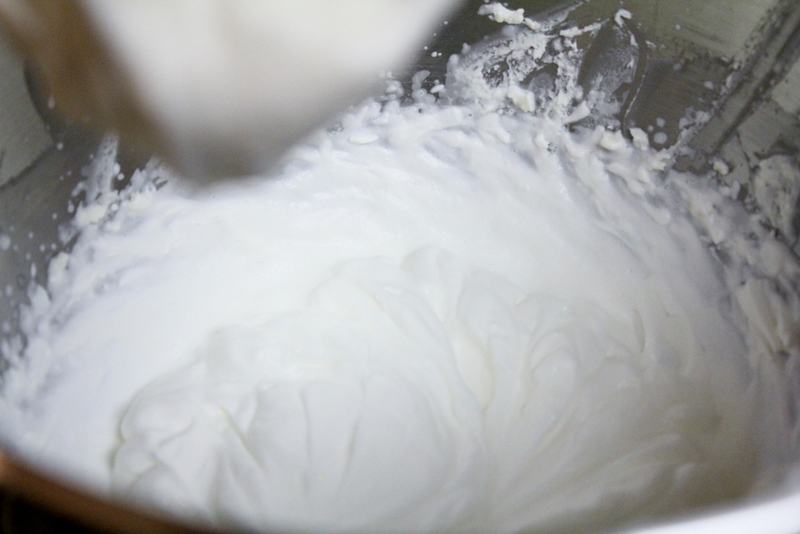 Whisk the heavy cream until soft peaks form. Add in the powdered sugar. Add in the mascarpone and continue whisking. Unroll the log and spread a thin layer of jam. Layer the mascarpone cream mixture on top. Reroll the cake and put in the fridge for at least 30 minutes before serving. Garnish with fresh strawberries and dust with powdered sugar when ready to serve.